Scientists in New Jersey are describing discovery and successful tests of the first once-a-month pill for controlling both fleas and ticks in domestic dogs and cats. Although many powders, sprays and other topical agents are on the market, many pet owners prefer the convenience of pills. Products given orally can reach more parts of an animal's body, do not wash off in rain or bath water, and don't transfer from pets to people. 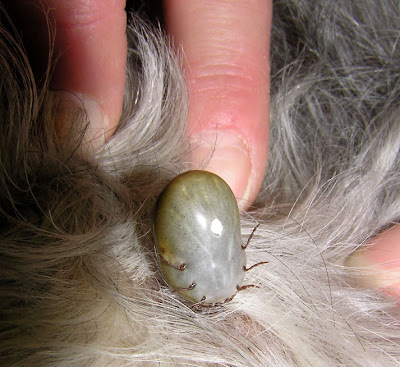 At least one existing pill fights fleas in pets, but does not appear effective for ticks.